It was during his studies at Sir J. J. School of Art in Bombay that K. K. Hebbar was drawn to impressionism, although it was Indian classical art that remained a ceaseless source of inspiration. His early paintings – landscapes and figural compositions in the academic style – disciplined his hand and mind and led him towards his own style. Inspired by Ananda Coomaraswamy’s discourses, Hebbar began exploring his creativity through the forms of traditional Indian art found in Jain manuscripts, Rajput and Mughal miniatures and the murals at Ajanta. 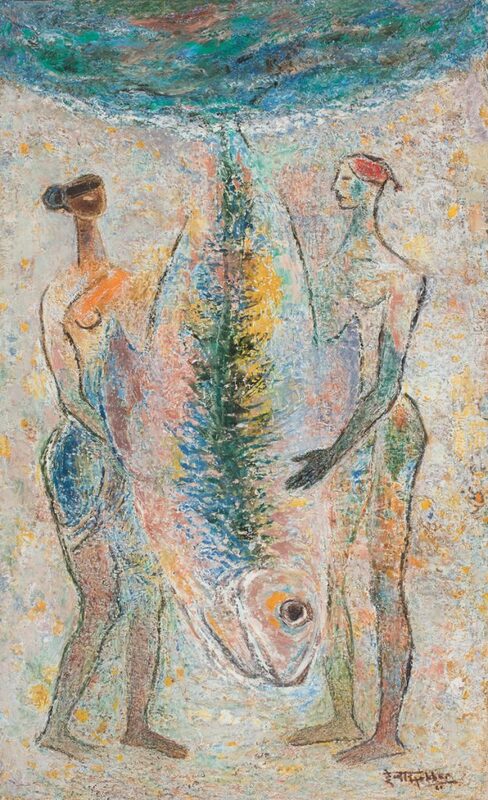 In his drawings and paintings, Hebbar harmoniously blended the traditional form with elements of surrealist and abstract art. Strongly inspired by Amrita Sher-Gil’s manner of expressing her vision of the East through Western techniques, Hebbar’s inclination lay toward Western art, and to explore it further he left for Europe in 1949. This exploration brought him to the Academie Julian in Paris where he studied painting under the impressionist painter Professor Cavailles, and later graphics at Ecole Estienne. From 1964-75, he travelled extensively in Europe, exhibiting his work. Upon his return to India, Hebbar experimented with mediums, methods and styles for two years in an attempt to find his own line, rhythm and colour, even learning the classical dance form of Kathak in his attempt to understand rhythm. 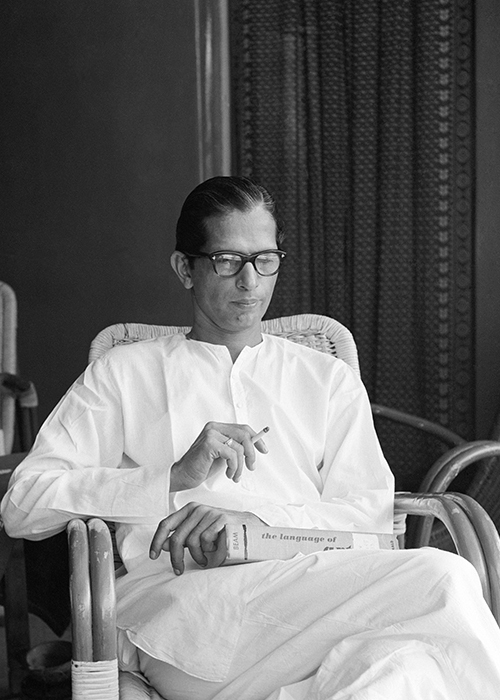 In 1976, Hebbar was selected a fellow of the Lalit Kala Akademi. Mysore University bestowed an honorary degree of doctor of letters on him. From 1953-73, he served as the chairman of the Artist’s Centre, Bombay, and received the Padma Bhushan from the Indian government in 1989.